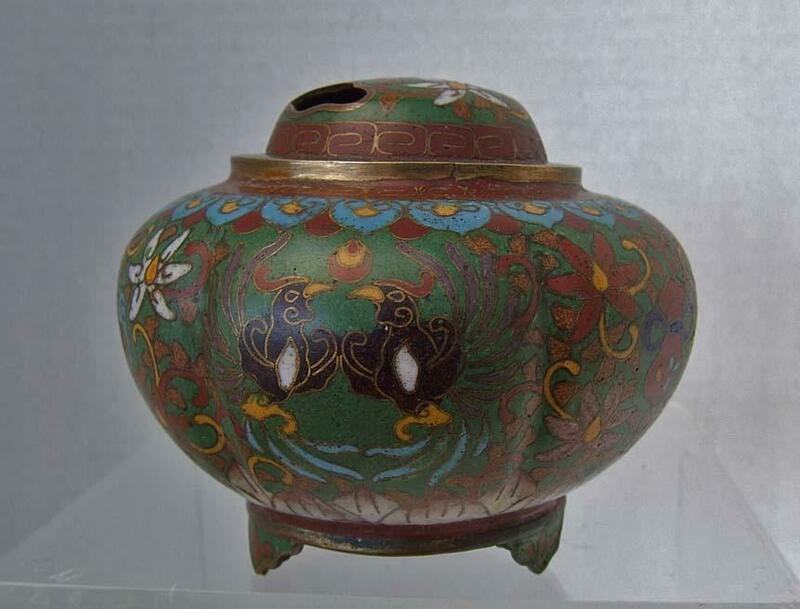 Antique, Chinese, Qing Dynasty (1644-1911 AD) cloisonne enamel tripod censer - incense burner of lobed bulbous body raised on three shaped legs, decorated with auspicious motifs: a Pair of Birds, Butterfly, Dragon chases its pearl of wisdom amongst the clouds, Fan, Treasure Vase, floral sprays and foliage all enclosed by a band of lotus petals near the base, and stylized key frets pattern below the mouth-rim, the domed cover with two cloud shape openings. 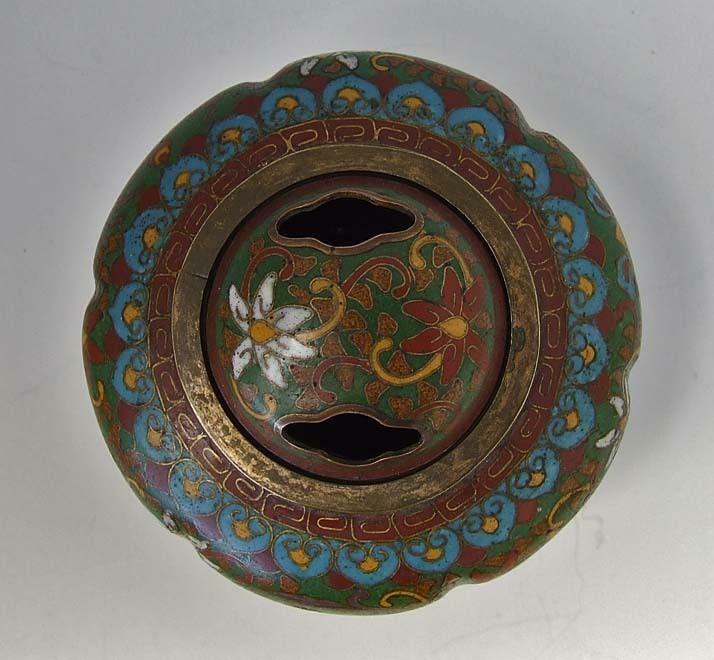 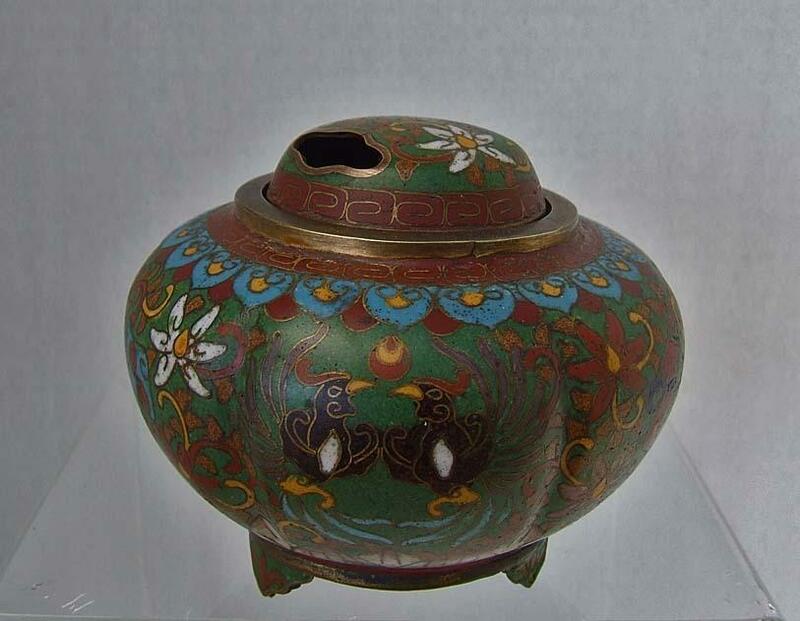 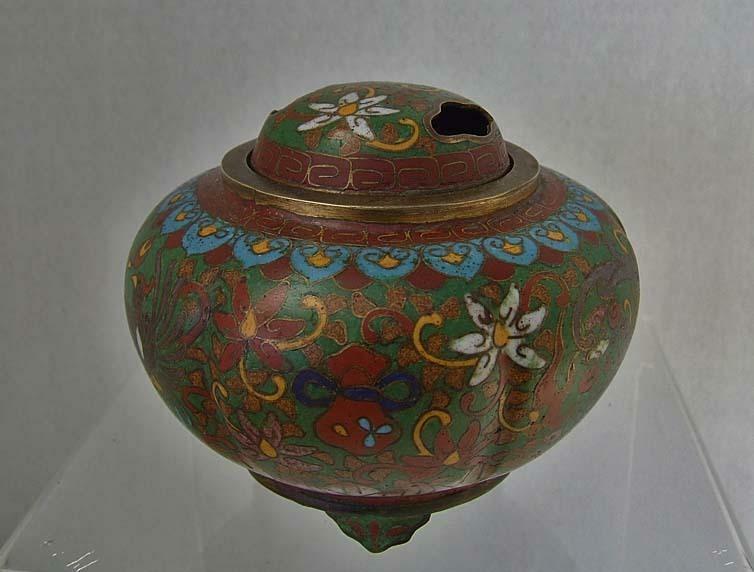 Base inscribed with cloisonne character marks. 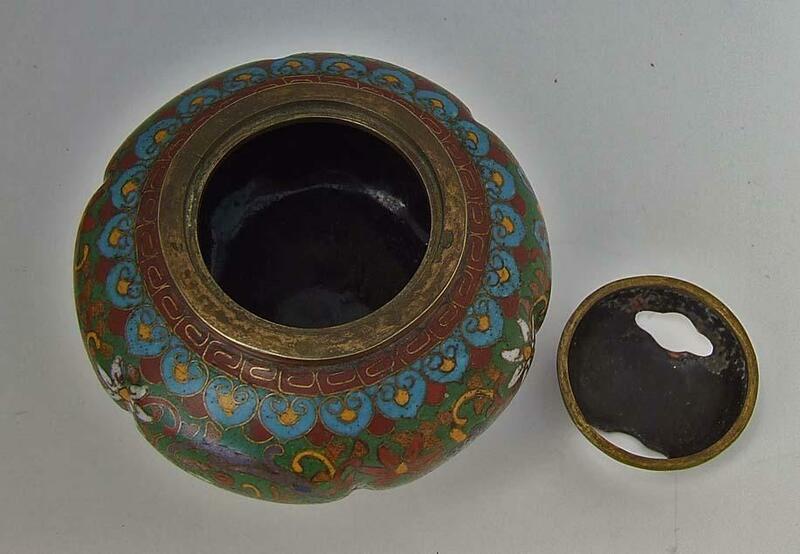 Condition: The Censer is in excellent condition overall, no cracks, chips, restorations, or repairs. 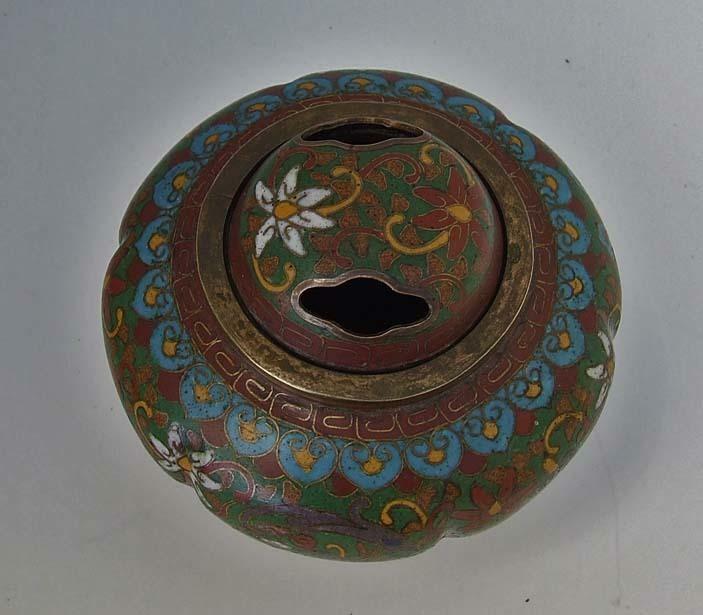 Colors may differ slightly with items in pictures, due to lighting conditions and color settings of different computers. 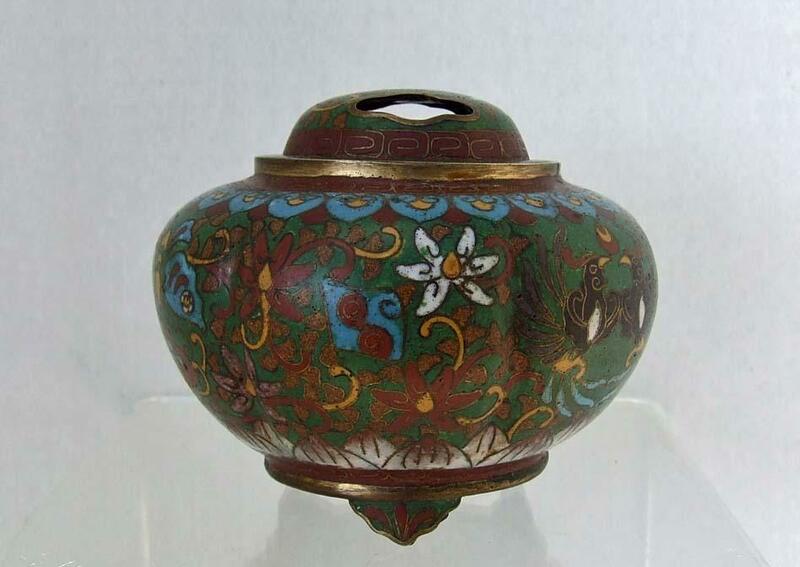 MEASUREMENTS: Approximately: Height: 9 cm (3.54 inches). 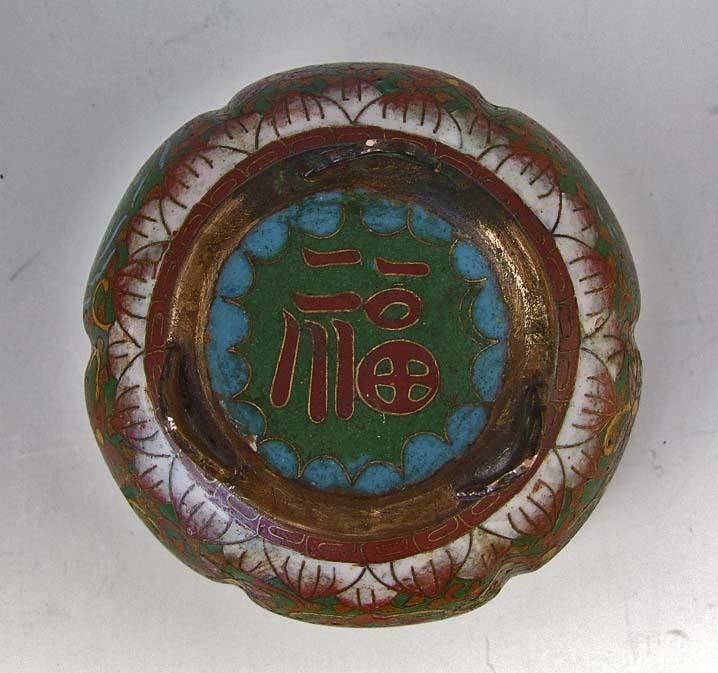 Width: 11 cm (4.33 inches).